The shoes and accessories where good and well priced. But the heat in the shop was a bit too much. It was putting a few customers off. A couple of fans would be a good idea. Besides that great selection and staff. 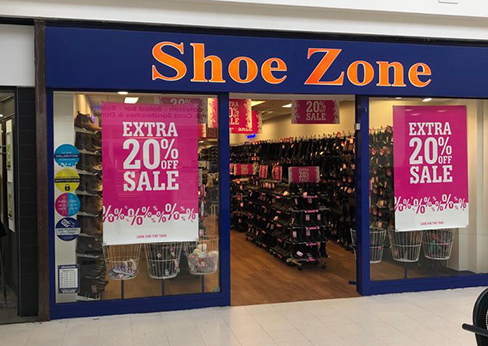 I shop at shoe zone all the time for mine and my family's footwear and today I was totally embarrassed I thought I had a bargain pair of boots and when I got to the till the cashier asked me for £22.99 I said no there in the sale the price tag says £15.99 she said OH sorry they have been priced wrong as I good will gesture I'll knock 10% off rang it in that made them £20.69 so i didn't say anything as there was a que I paid and left. I feel it was your stores mistake and I should have got them at the price that the tag had on them £15.99.